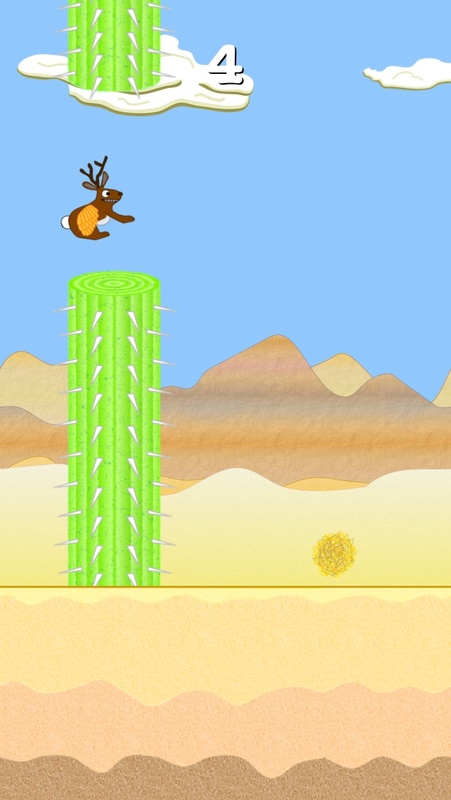 For anyone who has ever dreamed a jackalope could fly… pilot the world’s finest cryptozoological creature through perilous terrain, with Flapalope! Flapalope is now available on the Mac App Store. If you’re curious what this remarkable game is all about, there’s more details in my earlier blog posts. 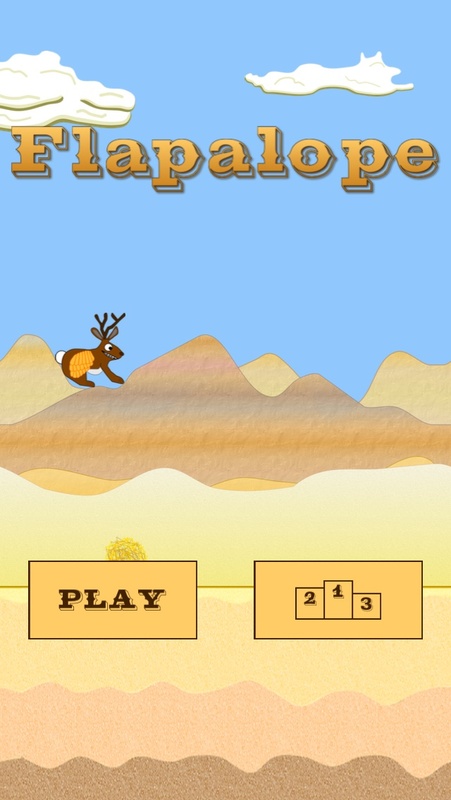 Flapalope is also available on the App Store for iPhone, iPad, and iPod touch, with free ad-supported and ad-free versions. If you’re enjoying Flapalope, please spare a moment to leave a review on the Mac App Store. Reviews really help. Thanks, and enjoy! The Flapalope v1.2 update flapped onto the App Store today! For more about the game, see my previous blog post. 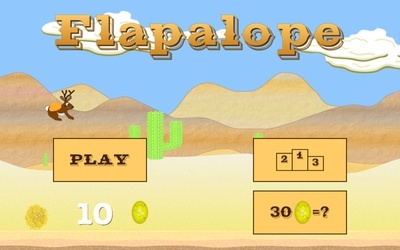 – Game Center leaderboards and achievements are now shared with Flapalope Gold (ad-free). If you’re enjoying Flapalope, please spare a moment to leave a review, or update your existing review (they get reset with every update). Reviews really help. Thanks, and enjoy! 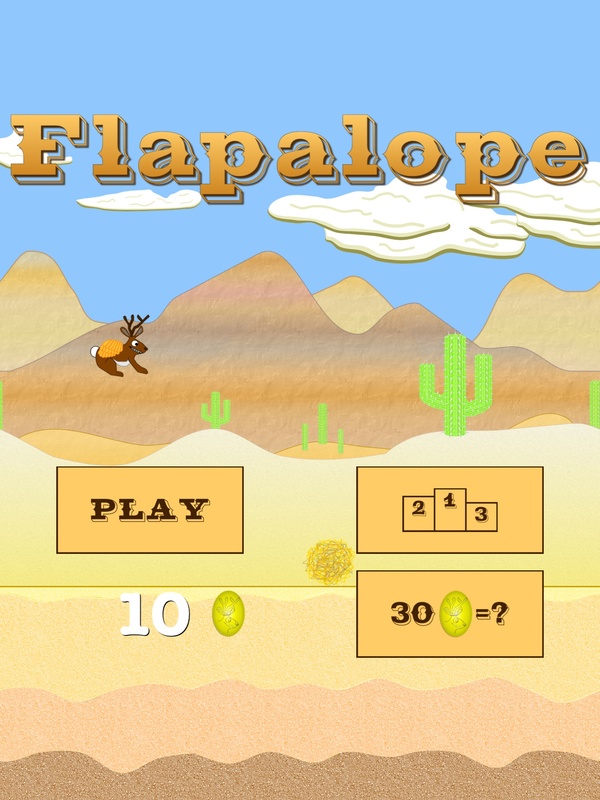 The Flapalope v1.1 Easter update flaps its way onto the App Store today! For more about the game, see my previous blog post. 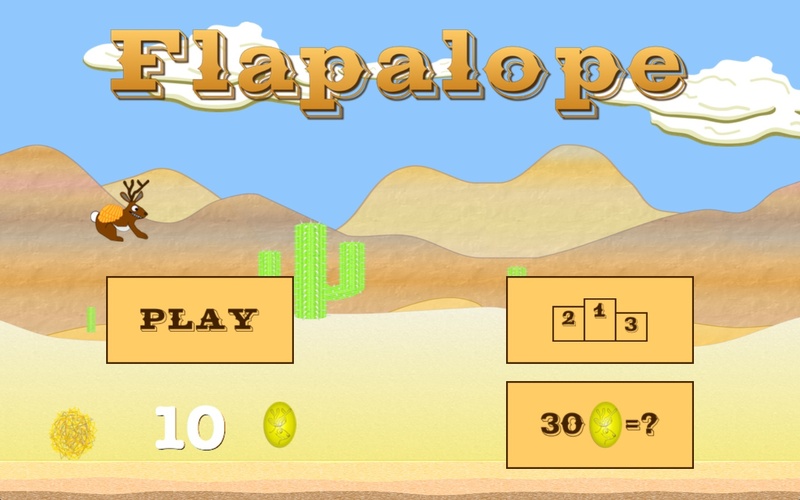 I’ve updated the Flapalope Press Kit with new screenshots. You can reach me with any game-related enquiries via email at games at andrewnicolle dot com, or on Twitter I’m @andrewnicolle. Like Flapalope at the Facebook page. 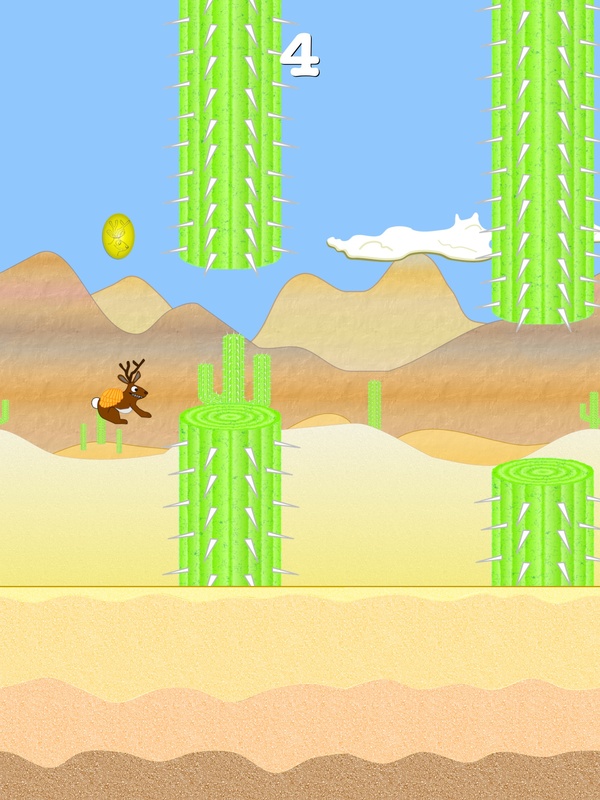 For anyone who has ever dreamed a jackalope could fly… you’ll soon get your chance to pilot the world’s finest cryptozoological creature through perilous terrain, with Flapalope! 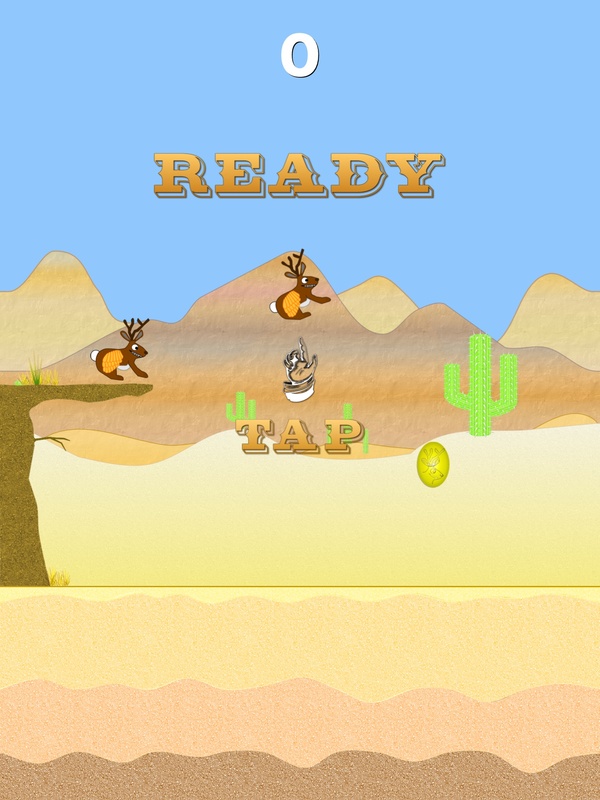 Flapalope is my first-ever iOS game. I’ve been developing productivity apps since the early days of the App Store, but for some reason never got around to working on a game. 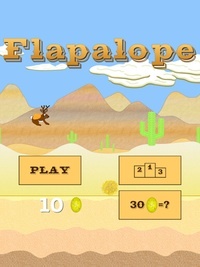 Flapalope is my take on the ‘Flappy-genre’, and hopefully you’ll find it a little more polished than most. 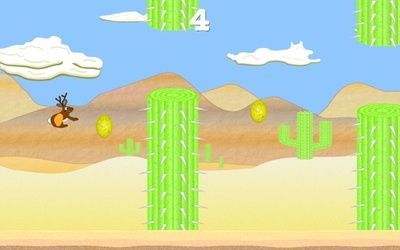 It’ll soon be released as a free ad-supported game on the App Store for iPhone, iPad or iPod touch with iOS 5.1.1 or higher. Why a jackalope, you may ask? They’re not merely rabbits in antler hats. In my opinion they’re the finest of cryptozoogical creatures, and are too often unappreciated by the general public. I think they’re fascinating creatures, so much so that we made a day trip to Douglas, Wyoming (birthplace of the jackalope legend) during our South Dakota trip a few years back. They appear in my fiction, and we even have one mounted above our mantelpiece! I hope this absurd level of appreciation comes across in my rendition of this most magnificent of creatures. Flapalope has a Western theme throughout, from the desert landscape through to the use of fonts and “ear-wormish” harmonica and banjo solos. 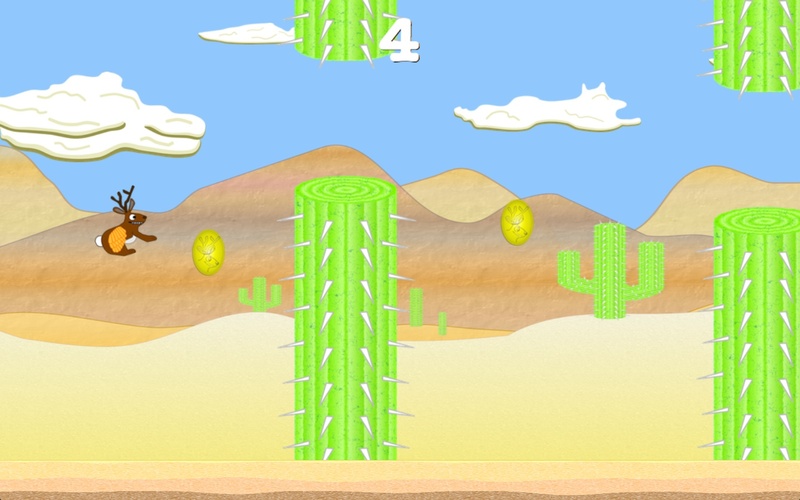 It even has cacti and tumbleweeds! Playing the game should be fairly simple – just keep tapping! Getting a high score may be a little trickier, however. 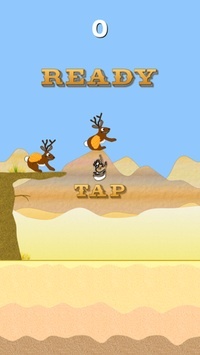 Flapalope includes Game Center support to track high scores. It’s also a universal app, with higher-res artwork for iPad. I wrote the initial version using Sprite Kit, following a tutorial on Ray Wenderlich’s site. Sprite Kit is Apple’s answer to 2D game engines and it has a lot in common with Cocos2D. It’s fantastic for anyone looking to get a start at making iOS games, and it can only get better with future iterations. 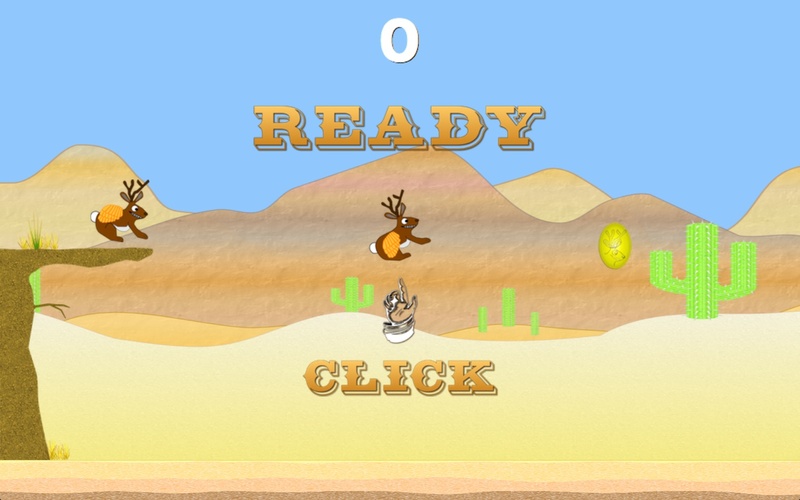 Toward the end of development it became apparent there were still a few bugs with Sprite Kit. I also wasn’t satisfied with only being able to support iOS7 or higher. Enter: Cocos2D. This open-source 2D game framework has been around for years, and it solved both issues for me. The conversion from Sprite Kit took me longer than expected (about 23 hours), but I’m happy with the end result. The game now runs on iOS 5.1.1 or higher, and works pretty well even on the original iPad. I’ve added a Flapalope Press Kit to my site with more screenshots and so forth, to grease the wheels of the inevitable media coverage. I can dream, can’t I? 😉 You can reach me with any game-related enquiries via email at games at andrewnicolle dot com, or on Twitter I’m @andrewnicolle. 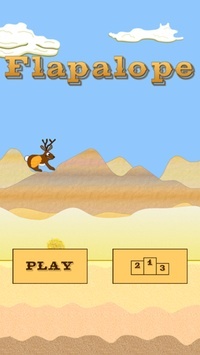 UPDATE: Flapalope is now available on the App Store! 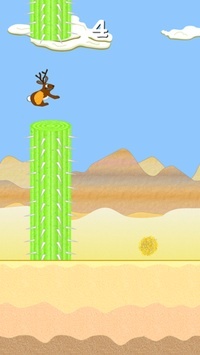 I hope everyone enjoys the game, and I look forward to the day when I finally beat my brother’s Flapalope high score of 42!